Right then, it’s time to take a look at who moved during the start of this week, and what’s driving the action in the biotech sector. In a continuation of last week’s trend, there’s been an awful lot of action, both data driven and otherwise, and companies at both ends of the space are seeing high volume and the volatility that comes with it. Here are two of the most noteworthy, and what’s behind the action. The two companies in focus are Lexicon Pharmaceuticals, Inc. (NASDAQ:LXRX) and Neuroderm Ltd (NASDAQ:NDRM). We’ll kick things off with Lexicon Pharmaceuticals, Inc. (NASDAQ:LXRX). The company took a severe hit at the start of the week on the release of data from its lead diabetes asset trial. The report announced that top-line results from its Phase 2 trial of sotagliflozin, a dual SGLT1 and SGLT2 inhibitor, basically missed across the board on its trial endpoints. Well, not across the board – that’s probably a little harsh. The numbers did suggest some degree of benefit weighted towards the drug when compared to a placebo arm, but the weighting was far from enough to be considered statistically significant, and so the endpoints are considered failed. Specifically, those patients that took part in the active arm of the study, i.e. those that took sotagliflozin, recorded a mean reduction from baseline in A1C of 1.33% after 12 weeks of treatment, with A1C here being the standard threshold measurement in this indication. The higher the degree of reduction the better, and the placebo arm recorded an adjusted reduction of 0.35%. The safety profile came out relatively, clean, with very few serious AEs and no deaths, so this will probably be a tough one to take for the company and its shareholders. It’s always hard to miss out on an endpoint hit based on stat sig readouts and nothing more, but in this industry, that’s just the way things play out sometimes. What will soften the blow is the response. The company dipped post session on Monday, but has pretty much recovered at time of writing, and so it doesn’t look like it’s going to take too much of a market cap hit on the back of the report. Now let’s move on to Neuroderm Ltd (NASDAQ:NDRM). This one’s a move in the other direction. The company just announced the outcome of an end of phase II meeting with the FDA, which has outlined a path to regulatory approval for its lead Parkinson’s asset, ND0612. Basically, Neuroderm expected to have to run a host of confirmatory trials before the drug picked up approval, with one already underway and another slated to kick off near term. 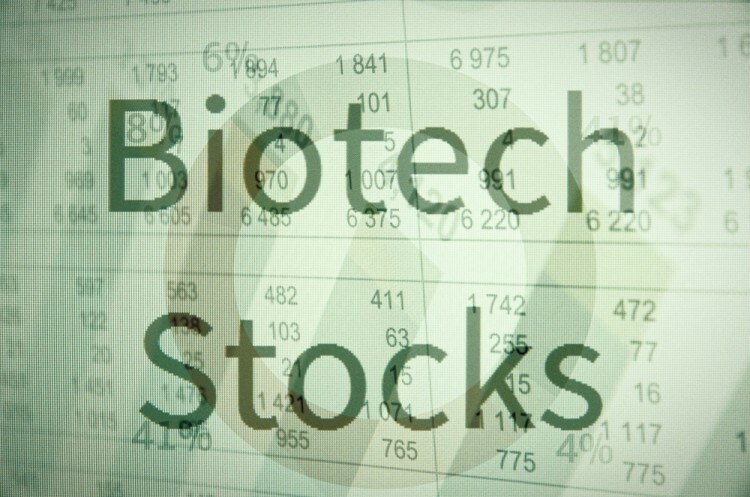 The meeting outcome, however, suggested the drug could gain approval based on pharmacokinetic (PK) data based on the pursuit of a bioavailability regulatory path, and so the company has scrapped its ongoing trial, and will no longer run its planned trial. This is a big cost saver, and should also decrease the time to market for the drug. Markets have, of course, recognized both of these points, and the company is gaining strength on the back of their implications. Neuroderm Ltd (NASDAQ:NDRM) gained more than 25% in the wake of the news, and continues to strengthen at time of writing.